It’s no question that being a mom is hard. Sleepless nights, very busy days, all to nurture and take care of us. It’s time to give back to the superwoman who has been with us since the beginning, and to honor the undying love that she has unconditionally given us all these years (especially during our teens—can you imagine how insufferable you’ve been? Yikes!). Stick a TINE tag on anything and scan the tag with the TINE app. Install the TINE app from the app store, and scan the TINE tag with your phone. 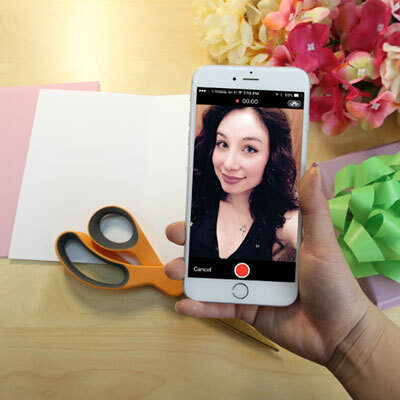 Use the TINE app to record a video, audio or photo message and save it to the tag. When someone scans your TINE tag, they’ll get see your message and you’ll get notified in the app. There’s something about a mother’s cooking that just seems to make everything better. You’ve gone through breakups, bad news, and even sickness with the help of your mom’s chicken noodle soup or meatball spaghetti. Why not memorialize these recipes by making an interactive cookbook? 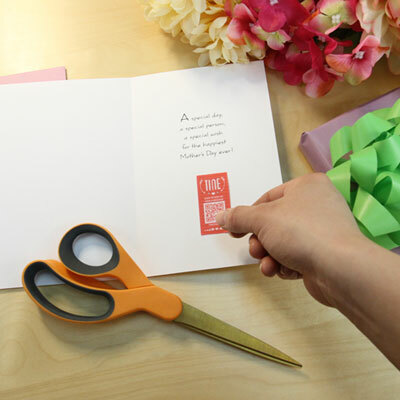 Add your mom’s special touches to recipes with TINE, so you both won’t ever forget! Since Mother’s Day is all about giving back and letting your mom know you appreciate her, a personalized coupon book would be perfect. A coupon for doing the groceries for this month? Check. A coupon for breakfast in bed? Check. No matter what these coupons are, make them more special by recording sincere and thoughtful messages with TINE tags. Go into any parents’ home, and expect to find a number of photo albums that just keeps going higher and higher each year. Who wouldn’t want to take picture of their perfect kids? This year, give back by staging a photo shoot entirely for your mom. Have her put on different attires, or dress up for whatever she feels like dressing up for; it doesn’t matter. Afterwards, you can create a festive scrapbook, made even more special by adding video messages with TINE. Moms seem to have a natural skill for finding any kind of thing, from missing socks to that tennis racket you’ve forgotten about all these years. She’ll surely enjoy a little game of scavenger hunt! 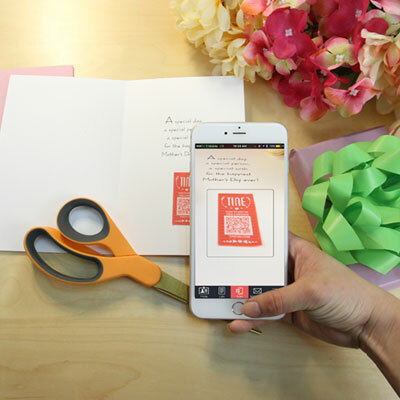 You can plan something fun, like an impromptu spin class or even a regular scavenger hunt, but get this: recording the clues using TINE would surely make for a Mother’s Day that she will no doubt remember forever! If you and your mom are more of the low-key type, you can still celebrate Mother’s Day with a bang. You can leave hidden notes around the house using TINE tags with loving messages. Place the notes in places that she often goes to, and some in harder-to-find spots. Let your mom know just how much you appreciate all she’s ever done for you. The app even notifies you whenever your mom finds a note! Most moms love jewelry. Make her day even better with a special piece of jewelry! If your mom’s not bling type, you can always buy an accessory that you know she likes to collect. It could be a hairband, a bracelet, or even a scarf. Add that extra oomph by sticking a TINE tag on the box and telling her why this accessory or jewelry is the best for her. TINE is available on iOS and Android.